Are you curious about the Axis Syllabus? Do you want to learn more about biomechanics? Are you interested in the latest science in the fields of movement rehab? pre hab? Pain? Trauma? Bio-Psycho Social studies. Do you want to learn how to integrate more resistance and functional movement training into your yoga practice? Are you curious about DNS, Developmental Movement and Somatics? Do you want to learn more proprioception and interoception? Do you love yoga and would like to learn ways to add diversity without losing too many students? Do you want to learn how to move with greater efficiency, grace and sustainability? Does non linear movement make you nervous? Would you like to overcome this obstacle? Are you injured and bored of your yoga practice? If you answered YES to 7 or more, I think you’ll love this MRI. Thursday June 13: Guest presenter all afternoon. Exciting, mind blowing, challenging, humbling, encouraging, game changer, intense, discombobulating, empowering, inspiring, eye opening, integrated. WHAT IS THE AXIS SYLLABUS? The Axis Syllabus is an evolving information resource and educational initiative. The AS is the focus of an international network of curious movement educators that share research and studies through experiential approaches and disciplines such as biomechanics, physics, sports science and somatics. Their practice often makes use of the inherent spirals, undulating structures in looping movement cycles and task-oriented improvisations in dance and athleticism. Rather than still positions and poses or conveying aesthetic models, their proposals include the idea that moving dynamically to begin with is a way to develop appropriate reactions. As a group, they tend to ask the fundamental question: what movement is appropriate for an entire life of moving well? Born in 1960, Frey Faust began performing at the age of 8 with his family as a traveling troubadour. 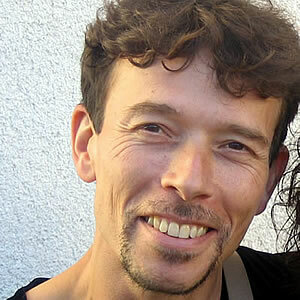 He is a second generation contact improviser and an alumnus of the 80´s New York dance scene. Some of his more important early influences came from: Shekhinah Mountainwater, Nita Little, Pavel Rouba, Rene Bazinet, and Janet Panetta. He has worked with and for a number of artists (order of appearance: Ohad Naharin, Donald Byrd, David Parsons, Gina Buntz, Howard Katz, Merce Cunningham, Meredith Monk, Randy Warshaw, Bob Een, Stephen Petronio, Danny Ezralow… to name a few. He founded or co-founded three dance companies, and has created or co-created over 40 choreographic solo and group works. Following an independent study of anatomy, biomechanics, and physics, he has been able to build a pedagogical approach that has made him a sought after teacher, personal coach and technical counselor. After fifteen years of research, he consolidated his findings in a book, ‘The Axis Syllabus – human movement lexicon’, which he continues to edit with the help of the Axis Syllabus International Research Community. Founded in 2009, the ASIRC is a rapidly expanding group of experts from many related fields in the human movement and education sciences. Recently, his work on the AS has been focused into the construction of a symbol set with the potential to streamline movement documentation and analysis. He also makes shoes, speaks 4 languages, continues to create and perform dances. 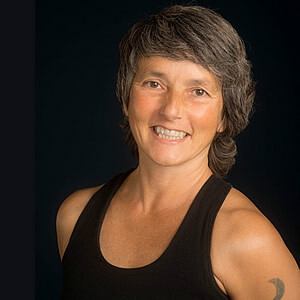 Diane Bruni has been teaching yoga for over 30 years, she co founded the Downward Dog Yoga centre and hosted an international TV show called Breathing Space, more recently she has been researching other movement forms, including developmental kinesiology and the Axis Syllabus. She is the developer of an elastic resistance training prop called the Loop. 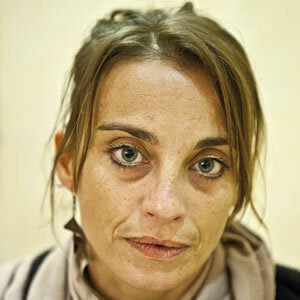 Ruth Douthwright is a dance artist and movement educator. 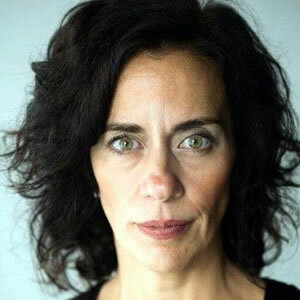 For over a decade Ruth has been a certified teacher of the Axis Syllabus offering individual and group movement therapy, dance classes and workshops, and as a guest teacher in Dance and Yoga Teacher Trainings programs both nationally and internationally. Formative education in folk, sacred dance, storytelling and music has greatly influenced her work. Graduate from LADMMI – École de danse contemporaine de Montréal with parallel studies in Voice, Experiential Anatomy, Body Mind Centering and Continuum with Linda Rabain. Continued studies at Laban (London UK), The Body Weather Farm and The Kyoto Arts Centre (Japan). Ruth worked with Frey Faust ABCDC (France) 2003-2008, L’Inattendue Compagnie (Belgium) 2006-2008, Dasein Dance Theatre (London Canada) 2014-2016. Patria Series with R. Murray Schafer and Dance Director of National Artist Program/ Canada Summer Games in London and co-artistic director of FLUX Dance Festival 2014-2016. 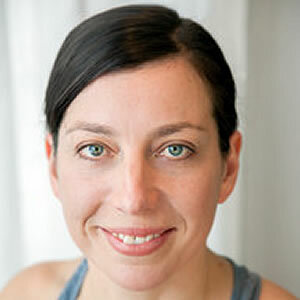 At Synergy she involves her patients in their own healing process by “empowering through movement”. Synergy’s injury protocols were created by Dr. Raza Awan and Riki Richter and incorporate Pilates and yoga based movement patterns into injury protocols. Together they have also developed continuing education for yoga teacher trainings on the Six Most Common Yoga Injuries, giving yoga teachers the tools to keep their yoga students safe from injury. As a practitioner in the health industry for two decades, my approach is to combine holistic personal training and numerous movement modalities along with an understanding on the impact chronic and traumatic stress has on our physiology and our fascia to help my clients gain strength, mobility and energy. Through personal and professional exploration, I know that you can cultivate a deeply felt sense of resilience and agency to realize freedom in your life. As the founder of Urbanfitt, I have helped more than 1000 clients improve emotional and nervous system regulation, positively shift neuroplasticity and release somatized stress and trauma. Through my revolutionary coaching sessions and workshops, I will ensure that you not only feel better, but truly realize your full potential for contentment and happiness. I am an experienced and illuminating speaker, widely consulted media expert and internationally recognized author. I am available for personal, group and corporate training as well as speaking engagements worldwide. 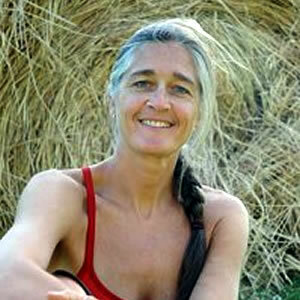 Leslie Young has over 30 years of experience with various styles of yoga (Vijnana, Iyengar, Ashtanga, & Kundalini), including teaching in the Whistler/Pemberton area since 1991. Now based on Savary Island, B.C., she divides her time between the ocean and the mountains, balancing fluidity and stability in life and yoga. Leslie’s style is rooted in alignment, precision, flow and deep connection to breath. Having practiced dynamic yoga for years, she also offers restorative and gentle practices that invite space and ease in the mind and body. Meditation – exploring the truth of the present moment and insight into our true nature – is the foundation her spiritual inquiry. With a background in education and a love of language and communication, Leslie’s teaching is clear, down-to-earth and creative. 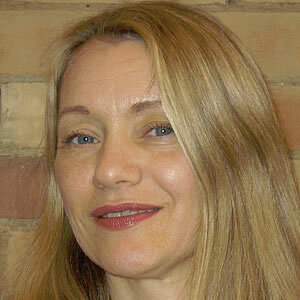 A gifted bodyworker with experience in spas, she offers traditional Swedish and deep massage. Leslie has chosen a life of intentional simplicity that encourages both discipline and freedom. A lover of water play, skiing and beach picnics, she chops wood and carries water at her ocean-front “off the grid” home. Dr. Sarah Kim has been practicing as a certified Sport & Exercise Medicine physician since 2006. She received her Doctor of Medicine degree at McMaster University in 2003. She completed her Residency in Family Medicine at the University of Toronto in 2005. Following this, she specialized in Sport & Exercise Medicine at the University of Toronto, obtaining her Fellowship Certification in 2006. Dr. Kim holds her Diploma in Sport & Exercise Medicine with the Canadian Academy of Sport and Exercise Medicine. She is also recognized under the Ministry of Health and Longterm Care as a GP Focused Practitioner in Sports Medicine. 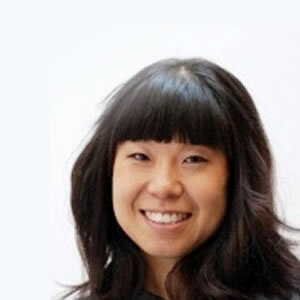 Dr. Kim is a Clinical Lecturer with the Department of Family & Community Medicine at the University of Toronto and is regularly involved in the instruction of future medical practitioners. Dr. Kim is currently the Head Physician for the National Women’s Teams at Canada Basketball. She has extensive field experience in event coverage, travelling internationally on an annual basis to represent Canada with the National Women’s Basketball Teams. I have been practicing meditation and yoga since 1996, sitting and moving with teachers from the Tibetan Buddhist, Kripalu, Ashtanga, and Iyengar streams. Along the way I’ve trained as a yoga therapist and an Ayurvedic consultant, and have maintained a private practice in Toronto since 2008. From 2008 through 2012 I co-directed Yoga Festival Toronto and Yoga Community Toronto, non-profit activist organizations dedicated to promoting open dialogue and accessibility. During that same period I studied jyotiśhāstra in a small oral-culture setting at the Vidya Institute in Toronto. 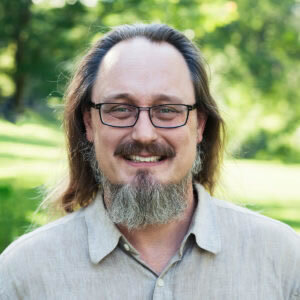 I currently facilitate programming for yoga trainings internationally, focusing on yoga philosophy, meditation, Ayurveda, and the social psychology of practice. In all subject areas, I encourage students to explore how yoga practice can resist the psychic and material dominance of neoliberalism, and the quickening pace of environmental destruction.